More Women riding bikes more often. 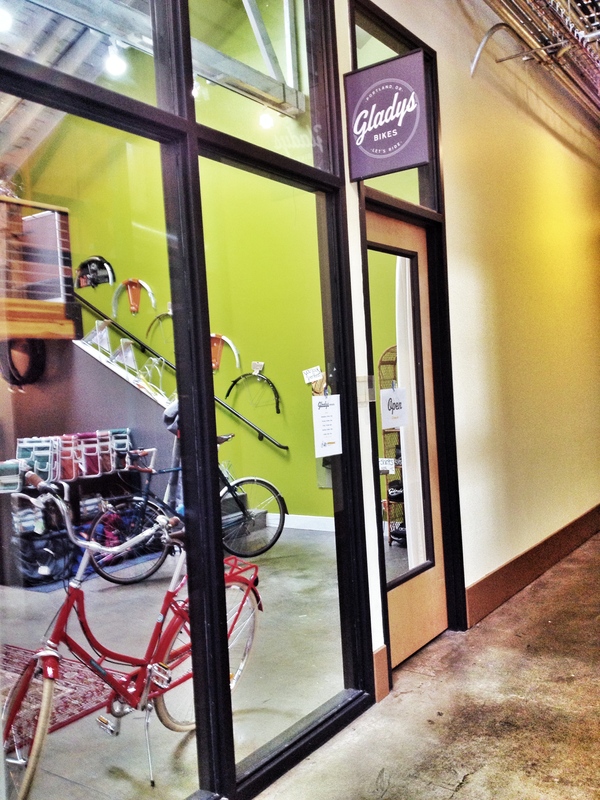 That’s precisely the goal of Gladys Bikes, a new bike shop located inside the HUB building along the heavily ridden Williams corridor in Portland, OR (2905 NE Alberta Street, Portland, OR). If you’re a Lady riding Vancouver/Williams, you need to check this place out. Owner Leah Benson has stocked her shelves with essentials for a comfortable and fabulous ride, from reflective flower pins and helmet bows, to rain jackets, saddles, helmets, and more. 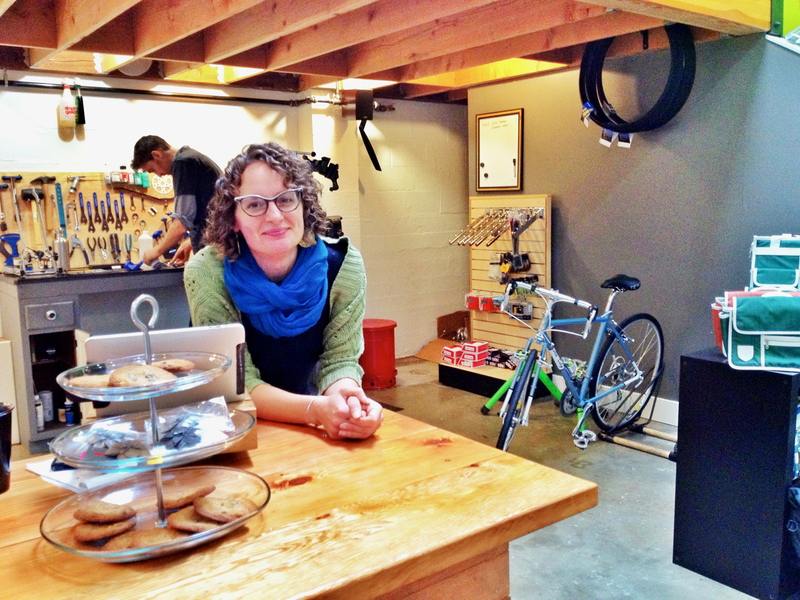 Also offering Lady-run maintenance, classes, and bike fittings from an oh-so-accessible $50, Gladys is exactly the kind of shop that makes entering the realm of riding feel approachable for Women of all ages and abilities. 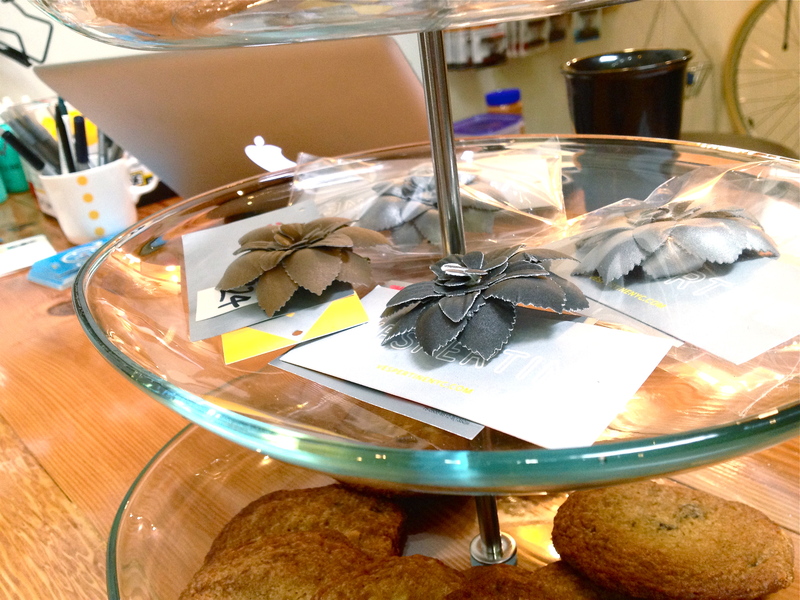 And did I mention free cookies? Looking at the gender breakdown, the data shows the total number of women bike commuters in 2012 grew to 236,067, which is an almost 11% increase from 2011. More broadly, women commuting by bike has grown by 58.8% since 2006. What’s more, the ACS data shows that the growth in bike commuting by women is outpacing that of men. Between 2011 and 2012, the growth in bike commuting by women was 10.9%, compared to 8.4% for men. Gladys Bikes is a lovely shop in a great location with a wonderful owner and mission worth supporting. Check out the accessories and awesomeness in the space just behind Ristretto next time you’re riding by, and in the meantime, you can check out and LIKE Leah’s shop on facebook, and attend her clinic “Everything You Ever Wanted to Know About Your Bike (But Were Afraid to Ask) on 10/17 @6:30pm at the shop. Keep pedaling, supporting local Lady-run businesses, and enjoying the ride, Ladies! I’m excited to go meet Leah! Thanks for the heads up!